DAVID LE/Staff photo. 2/19/15. 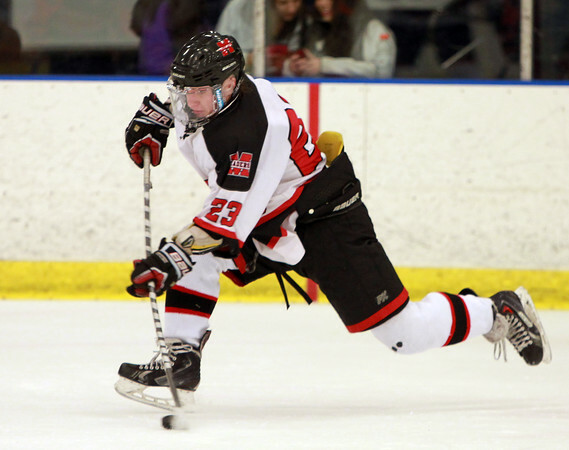 Marblehead sophomore winger Braden Haley (23) rifles a one-timer on the power play against Beverly on Thursday evening.